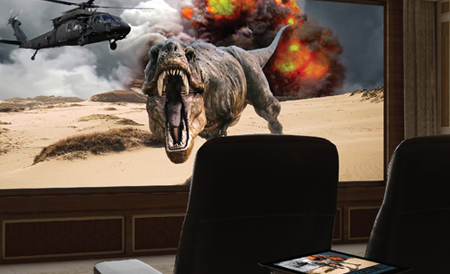 GDC is a leading global digital cinema solutions provider with the largest installed base of digital cinema servers in APAC. 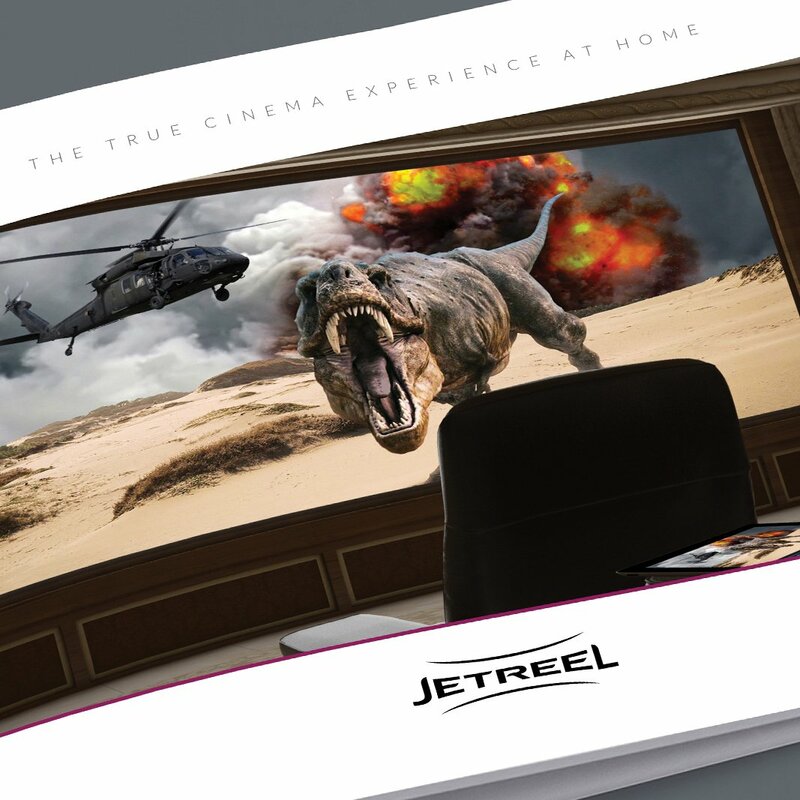 In launching its new subsidiary – Jetreel, a high-end private theatre experience – GDC asked Base Creative to define a novel lifestyle that communicates the luxury service and differentiates it from similar but inferior offerings from competitors. In China, luxury purchases are becoming more deliberate; consumers expect more for what they pay. In creating a brand that offers a unique, unfamiliar product, our challenge then lies in adding value to its existing features and finding the relationship between the product and the consumers’ lifestyles. 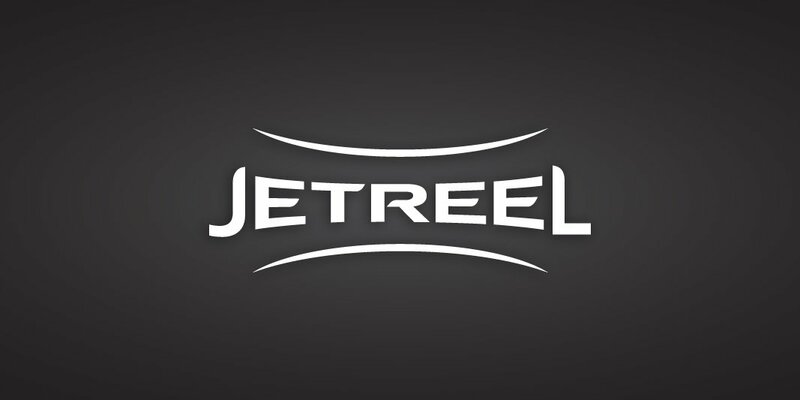 Pioneering a niche luxury category, Jetreel has first-mover advantage, but the brand first needed to gain relevance and clarity in order to tap into the psychologies of its target customers. 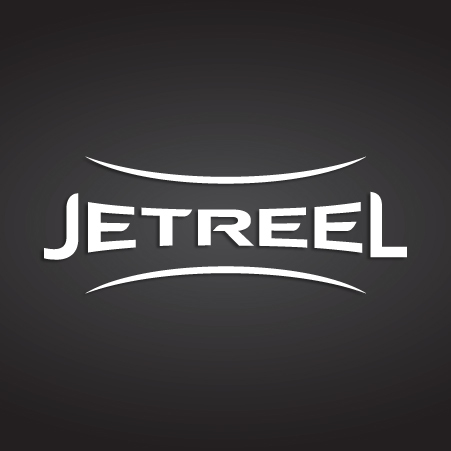 In China, Jetreel is currently the only company that is able to offer home users both the hardware that delivers the content in the exact same quality as in commercial cinemas, and also the content during the same time period it is released in theatres. 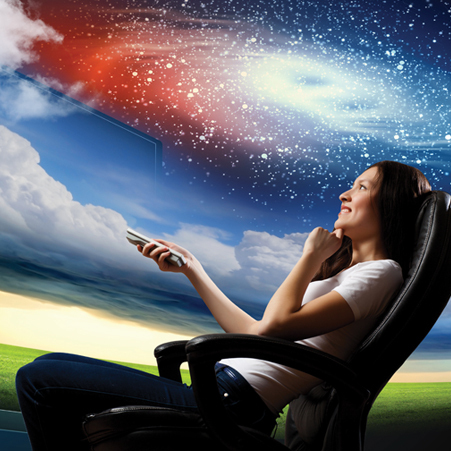 However, the way audiences consume media is increasingly becoming more accessible, cheap and fast. 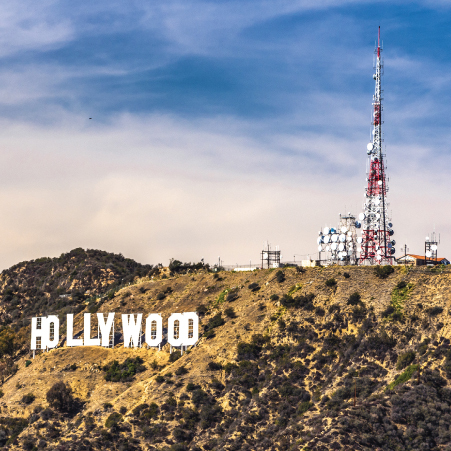 Coupled with alternative options such as commercial cinemas and online streaming, this trend poses a strong impediment to the brand. 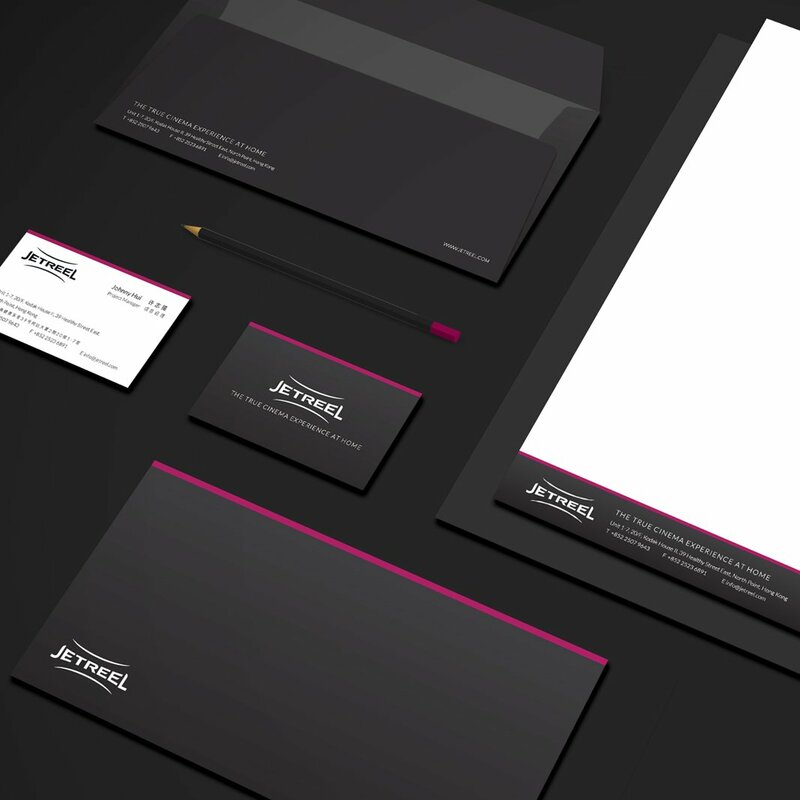 Informed by research and insights, Base Creative helped Jetreel to redefine the brand’s vision and position itself as an ultra-luxurious brand. As a starting point, we looked at aspirational luxury brands such as Bentley and Rolls-Royce and sought to identify commonalities that would complement the brand building of Jetreel. 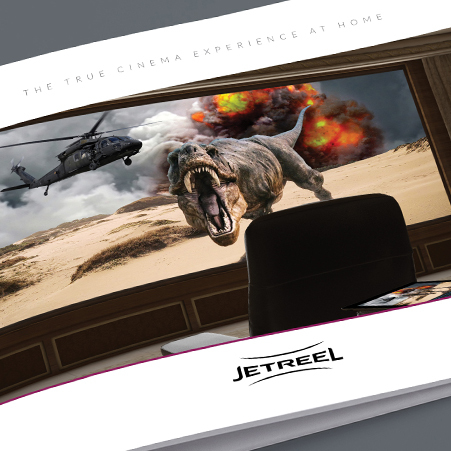 At the core of the brand, Jetreel wants to sell a luxurious lifestyle – being able to watch films whenever you want and even throw private premiere parties anywhere; a way of life that puts you in full control of the way you enjoy films. 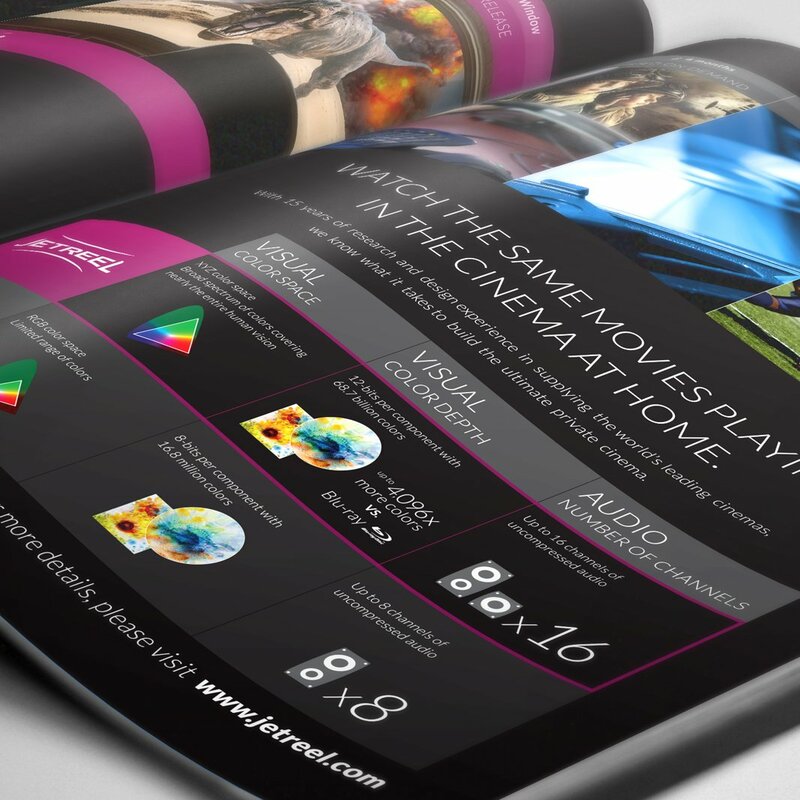 By creating a brand image that communicates how luxurious and advanced the service product is, we highlighted the advanced technology and differentiated it from the mass concepts of technological standards such as 4K, Blu-ray, etc., which are unable to offer the same level of quality in the content delivery. 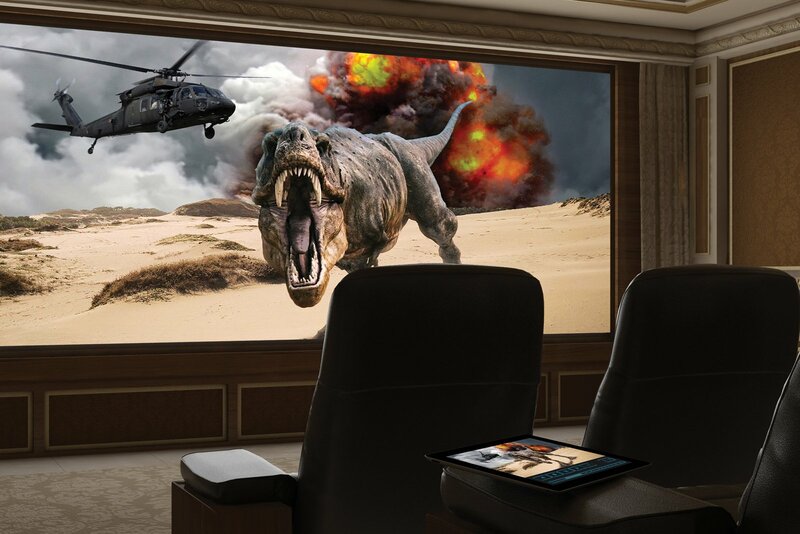 To drive a new product category – private cinema – in China, we take references from common perceptions toward cinema, such as the silver screen and scenes from iconic movies, incorporating them into the brand identities. By placing them in luxurious home settings, we wanted to compose a unique expression of luxury and lifestyle. 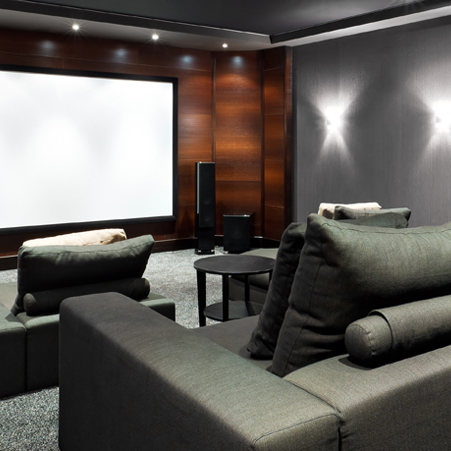 From the logo to the colour palette, the communication system is designed to reflect a theatre-like experience. 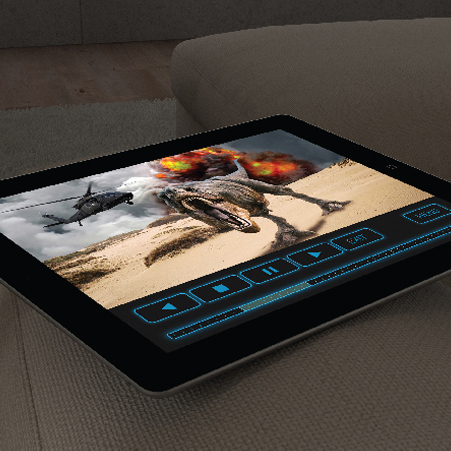 The wide array of visual cues conveys the intended brand concept and essence of the brand succinctly. 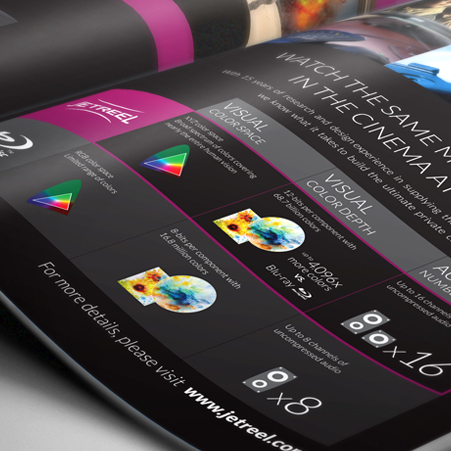 To deliver a luxurious cinematic experience, we looked beyond the common visual representations of technical performance and quality control. 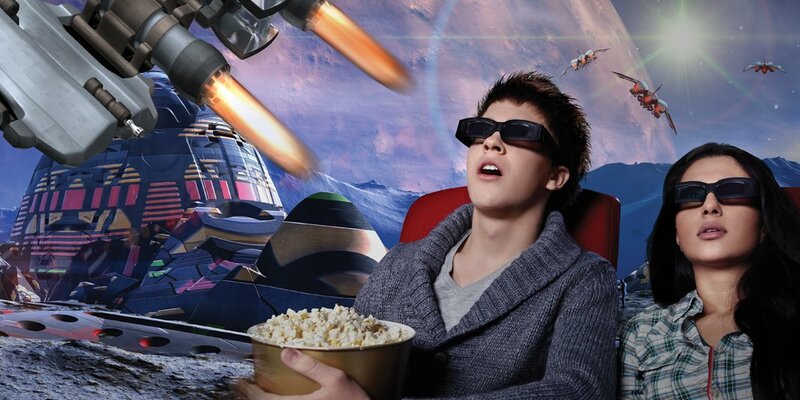 As a result, Base Creative developed 3D renderings of private cinemas and also created image compositions imitating scenes in films. We created text and infographics that explain the advanced technology of the product in such a way that people without technological expertise can easily understand the benefits of the product/service. 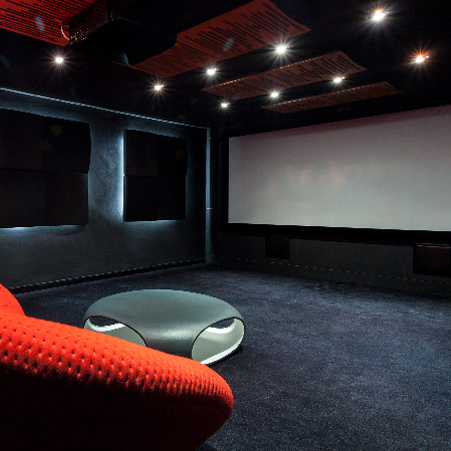 Most consumers have little knowledge about the private cinema category and its uniqueness as compared to conventional home cinema or public theatres. We ensure the same unique value propositions are expressed across all the communication platforms. 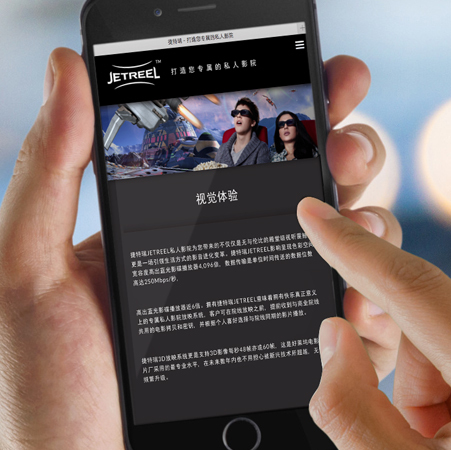 Developing a series of print ads and marketing collaterals, we helped Jetreel to focus on its selling points in the contexts of consumer and market demands. 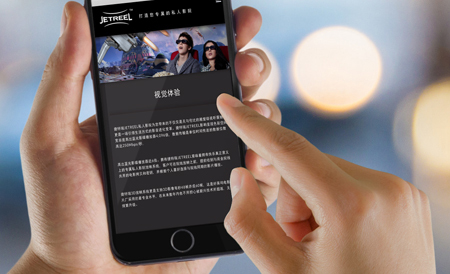 As a new product in an emerging market, GDC needed a user-friendly and easy-to-browse website that not only ties strongly to its business needs, but also increases the brand's clarity and enhances a potential customer's depth of interest and understanding. 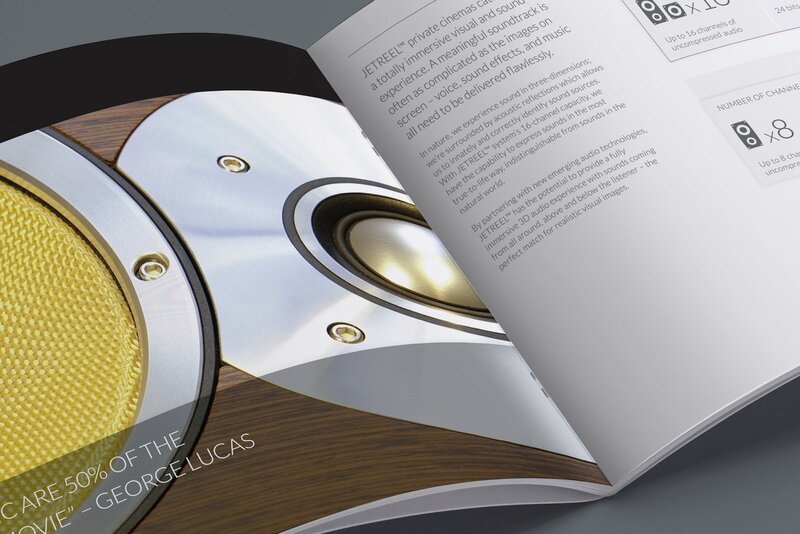 We looked at the website design from a customer’s point of view, and as a result we created a site that sets the right balance between information and visual aids - so that customers feel motivated to learn more about the product. 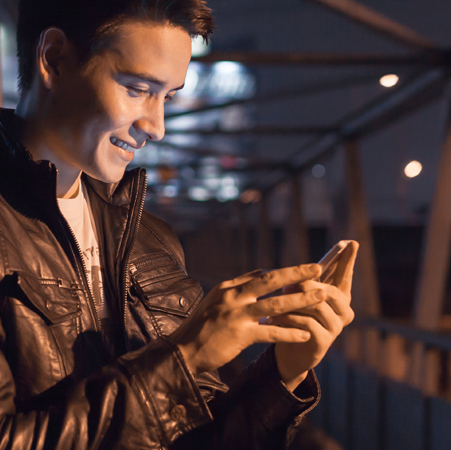 In response to the trends in mobile, the website is also made responsive across multiple platforms.